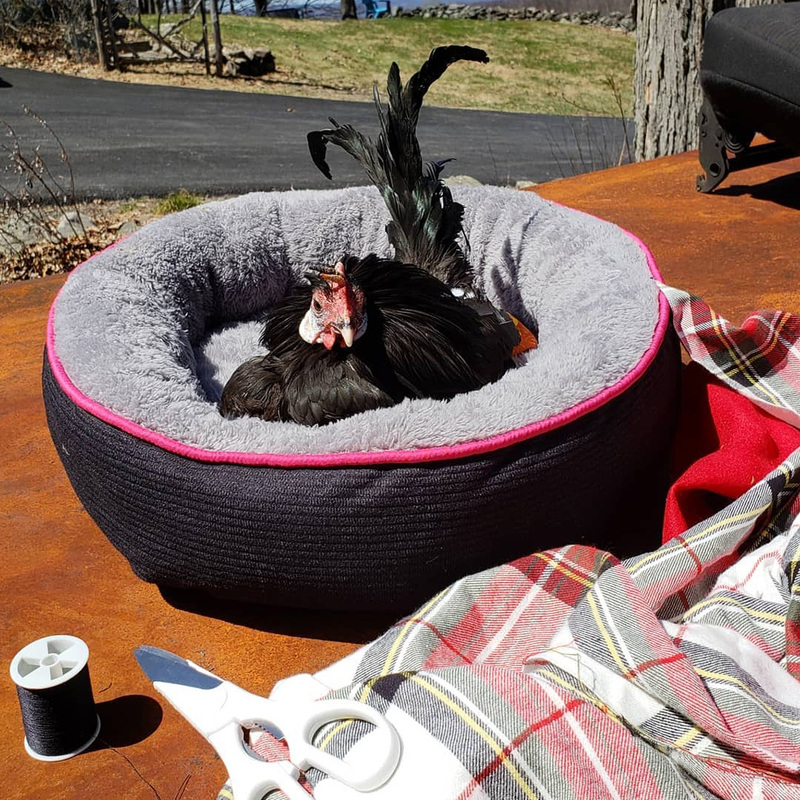 Sir Bartholomew “Barth” Roberts is a rescued house rooster with no legs. He lost them from frostbite just weeks before he was rescued by Jenny Lewis. 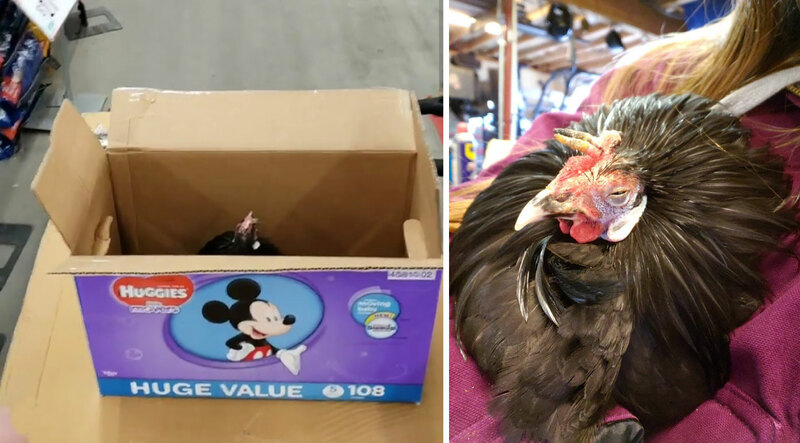 He was surrendered to Jenny while she was at work (she works at a feed store), delivered in a Huggies diaper box. When she was first handed the box, she wasn’t sure what to expect. 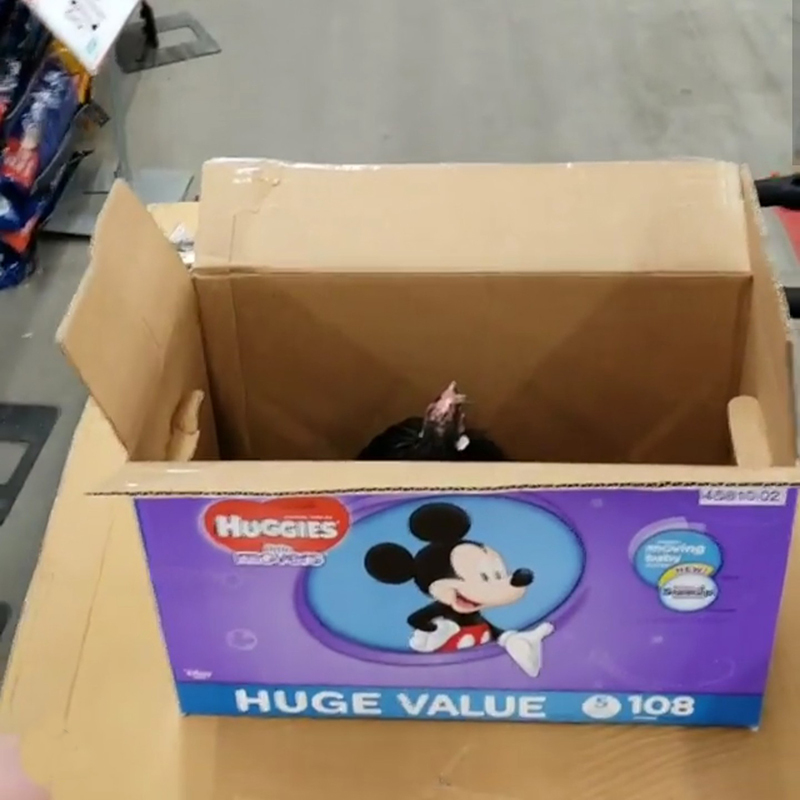 As Jenny lifted the lid of the cardboard box, she saw a very depressed, mentally broken bird. She could tell by his eyes. It was as if his spirit was gone---the light was missing from his eyes. 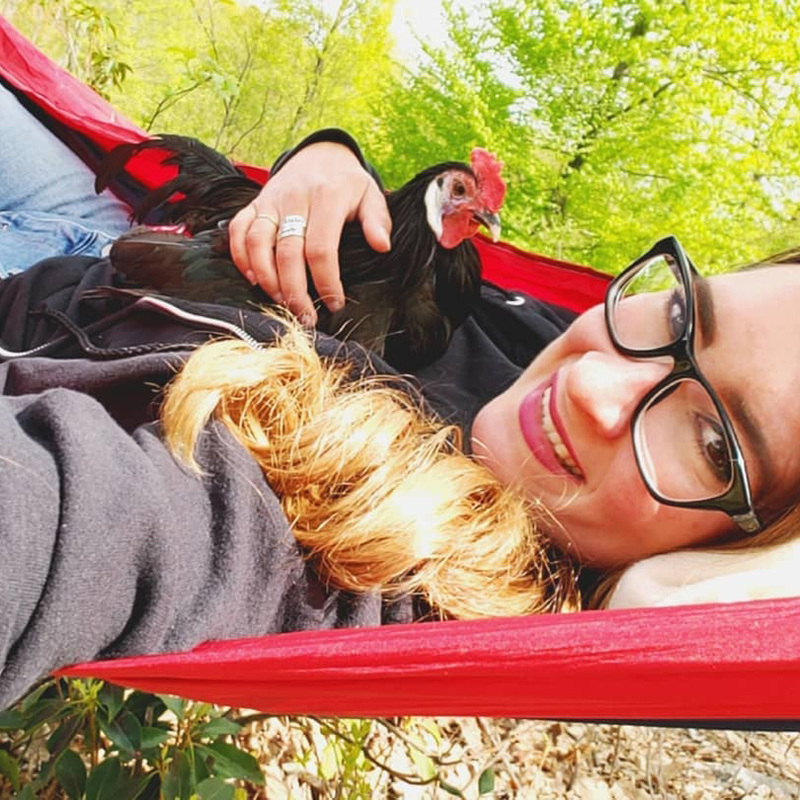 Jenny was determined to do whatever she could to help the little rooster, but at the same time was scared that he might be too far gone. Jenny examined Barth’s body. 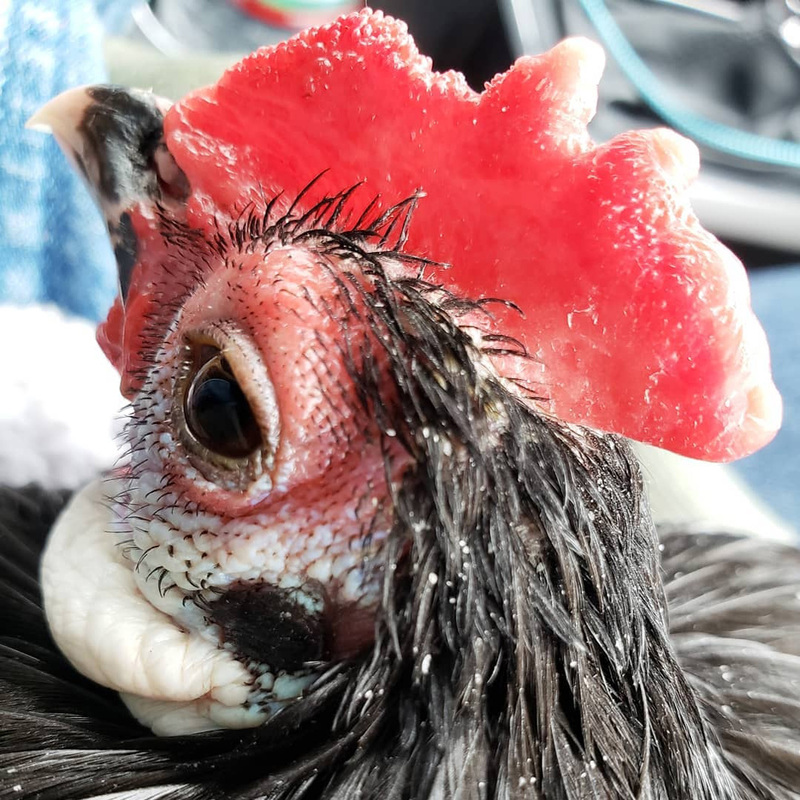 His face was very pale and he had severe frostbite along the top of his comb. 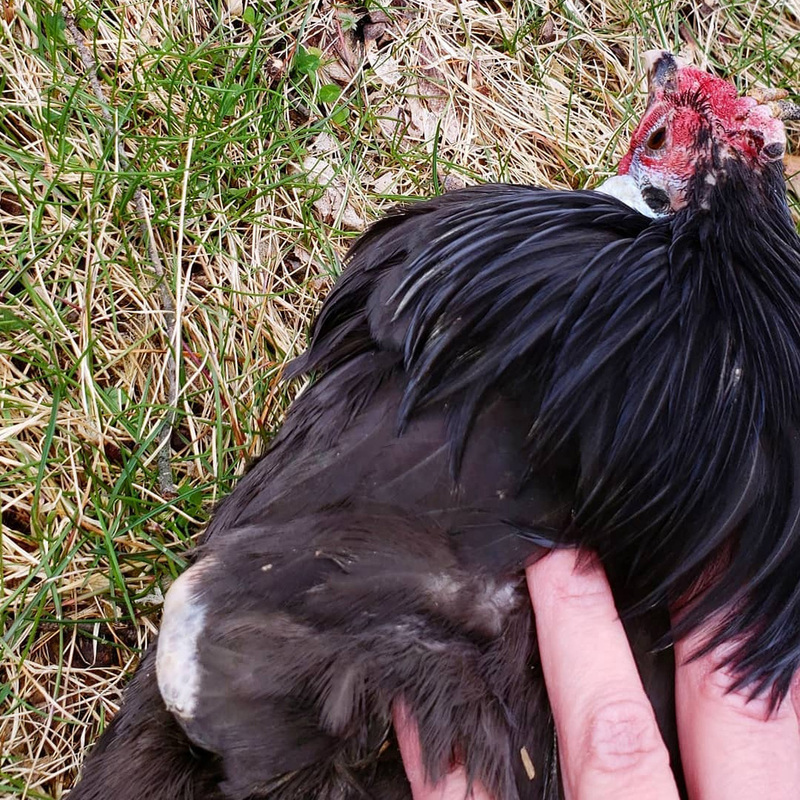 Not only was the little rooster dangerously thin, but his entire body was matted with feces. 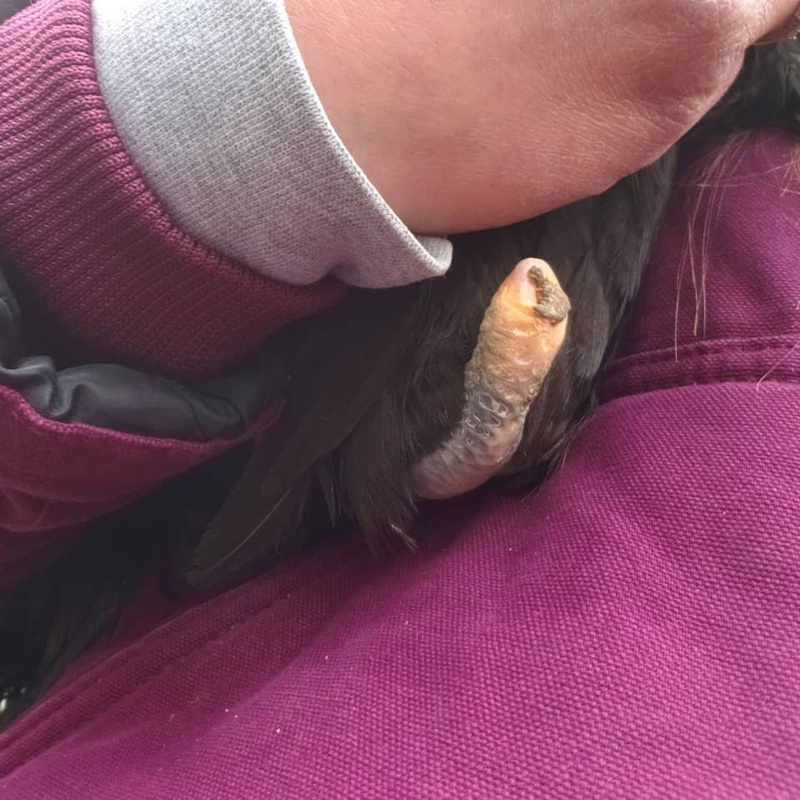 His skin was very dry and flaky and his feathers were in poor condition. 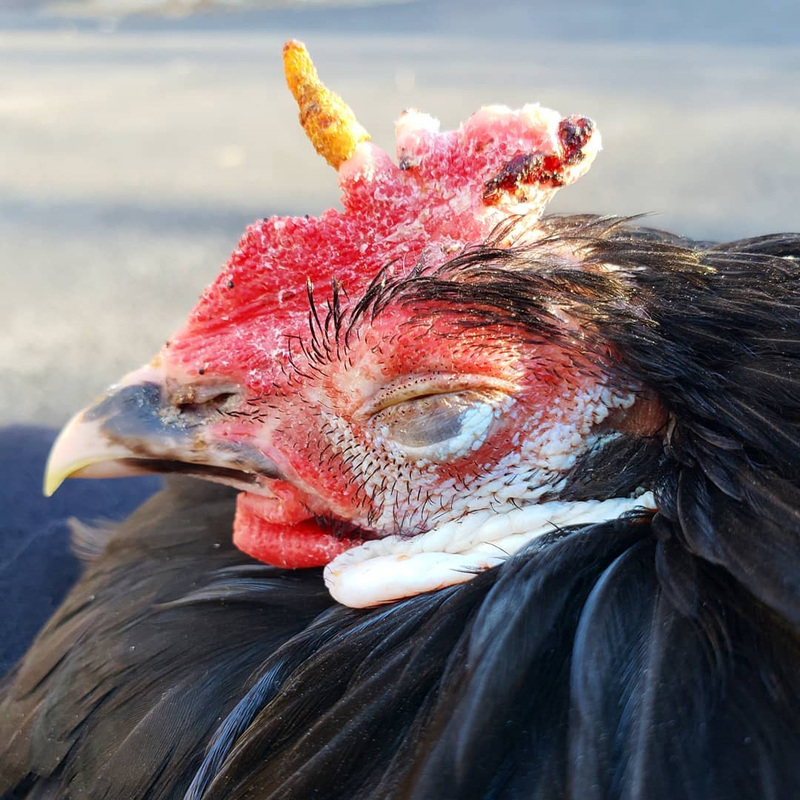 He had wounds all over his head and face, from where he was bullied and picked on by his former flock mates. As Jenny lifted his frail body, she couldn't believe her eyes---all that remained of Barth’s legs consisted of two tiny nubs. 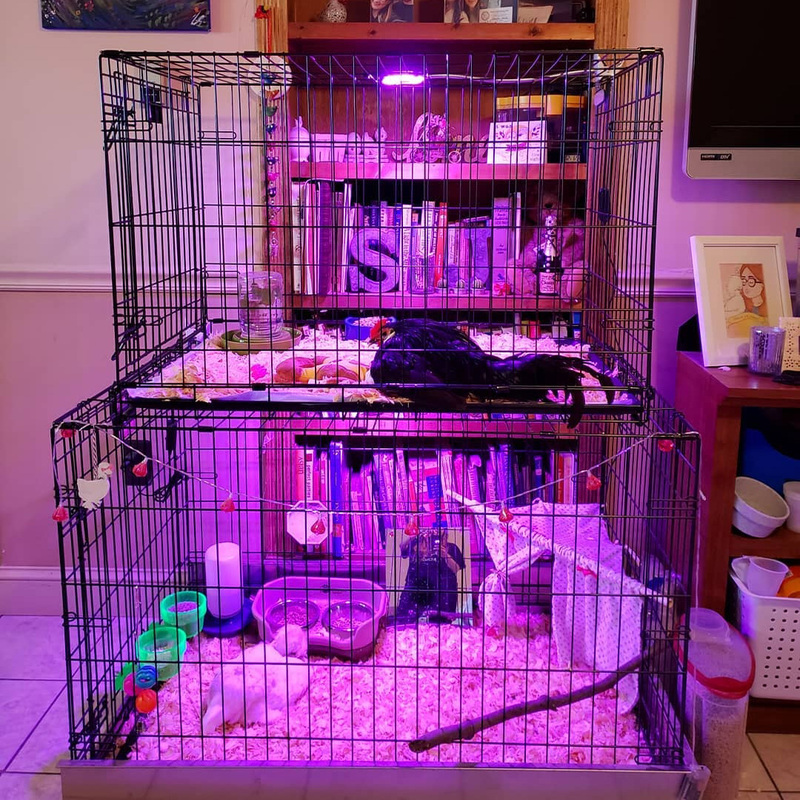 Jenny initially set Barth up in a quarantine rabbit hutch. She padded it heavily with cloth and extra layers of shavings so that the ground was soft. 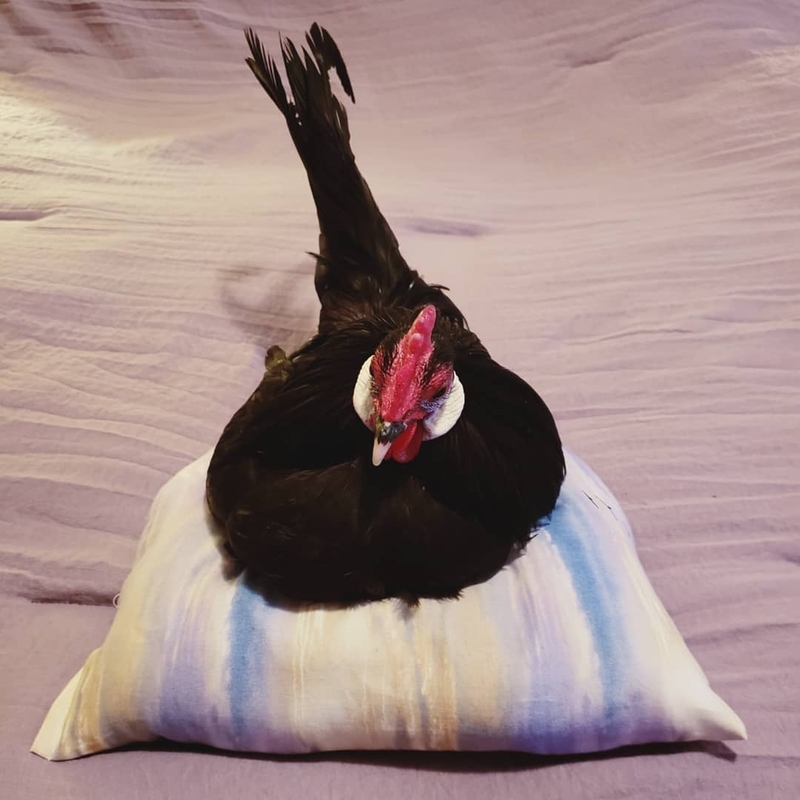 Since he was alone, Jenny gave him a stuffed animal chicken for comfort, which she often found him propped up against. She found that Barth tended to flap his wings a lot, presumably to help himself get around, which often resulted in him falling a lot. 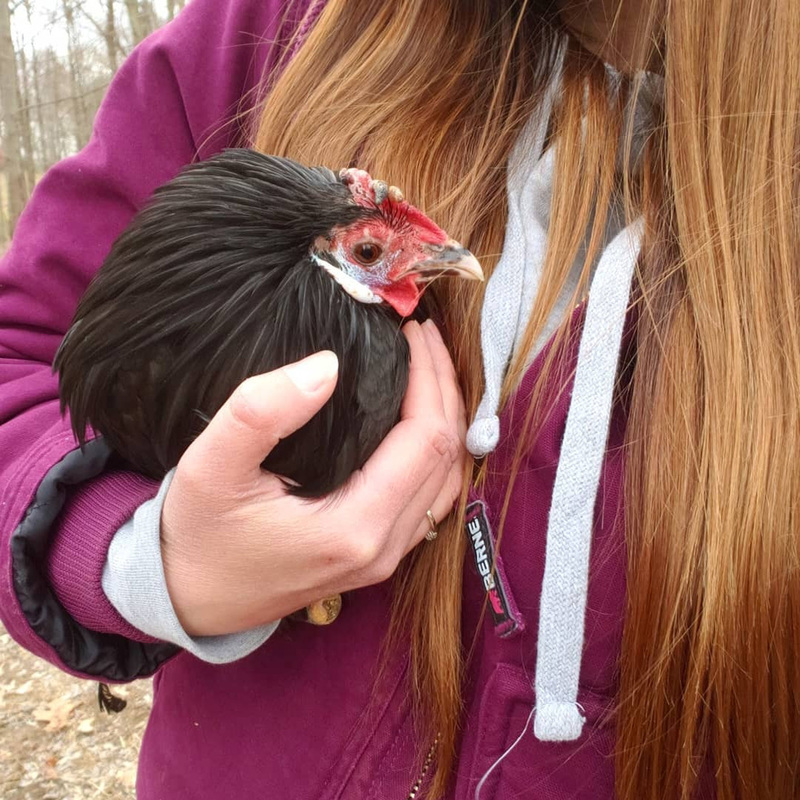 Because of this, Jenny ended up using multiple feed and waterer cups which they could secure to the sides of the hutch---so he didn’t knock them over. Normally, Jenny would have followed a 30 day quarantine period for Barth. 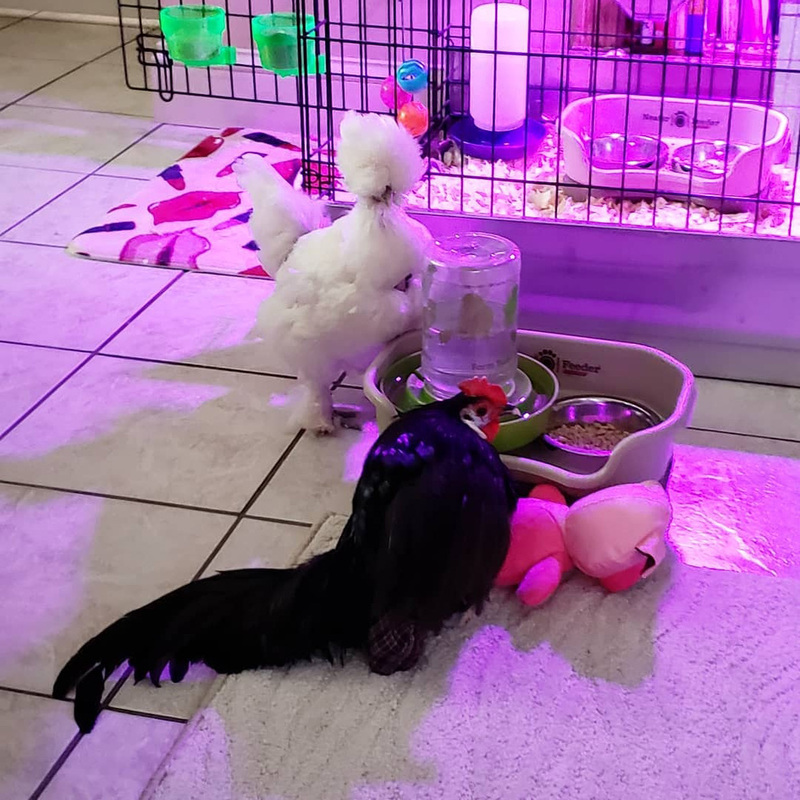 However, Jenny noticed that Barth had been abused in his past by the other birds in his flock, as he was very timid and fearful when it came time to eating. In fact, she quickly realized that Barth wouldn’t eat or drink anything unless she was present. 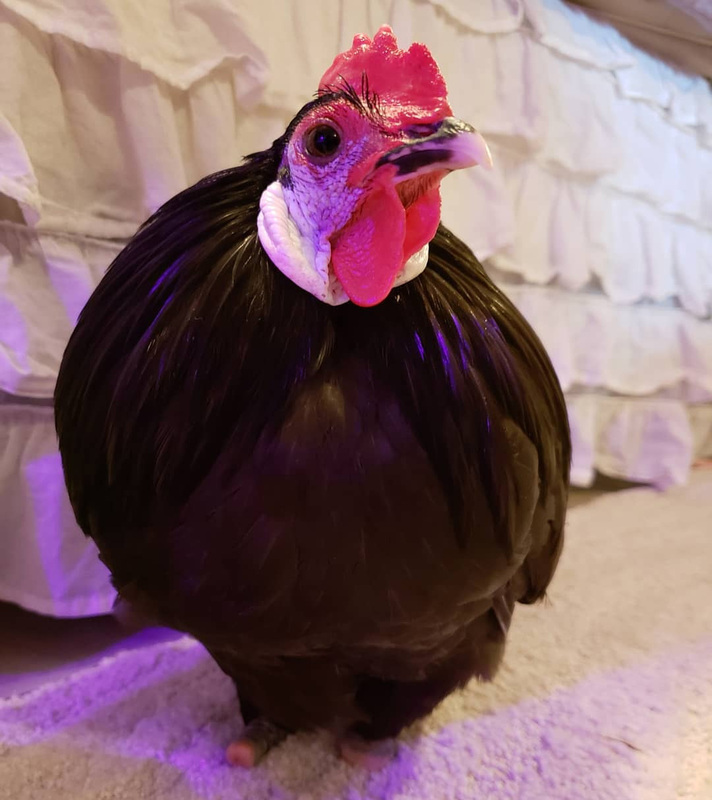 By day 21, Barth’s droppings were solid (they were initially liquid) again, given the circumstances, that would be best to go ahead and move Barth inside the house----into his own chicken palace condo. 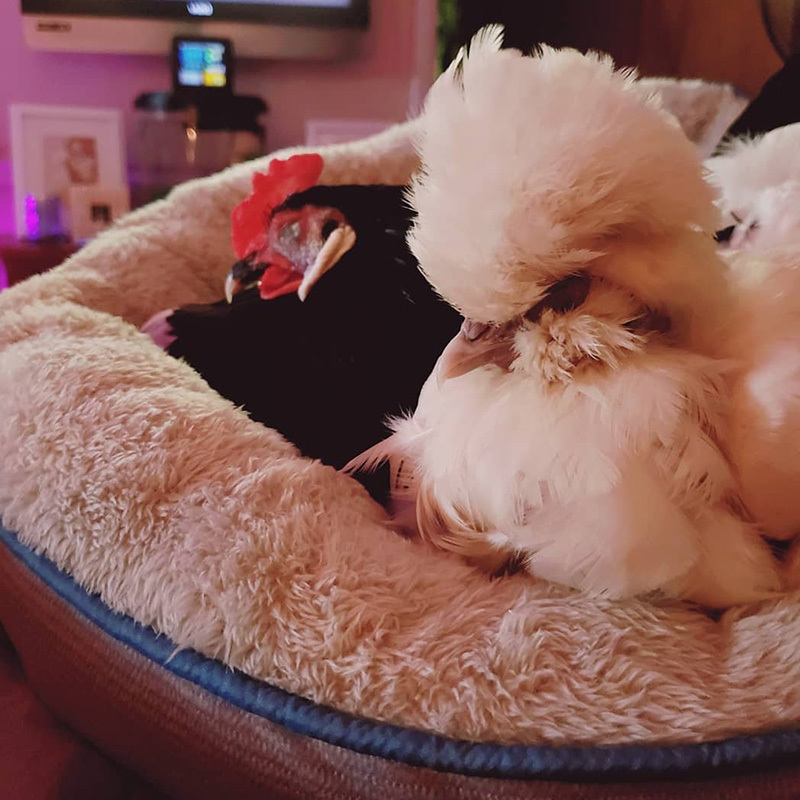 It was directly on top of Jenny’s already existing house chicken, Eloise’s living quarters. 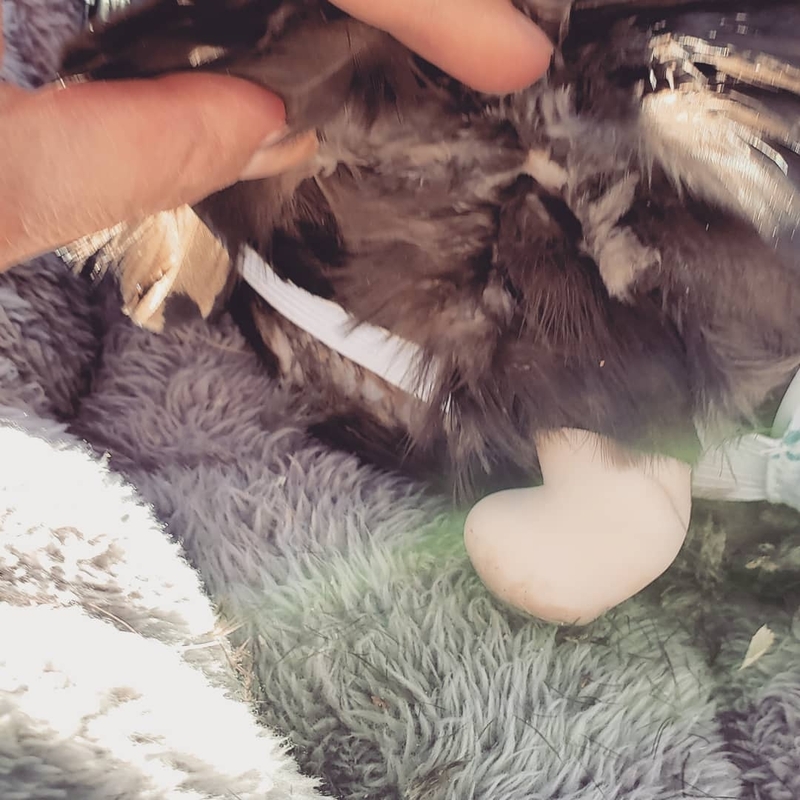 Since what was left of Barth’s legs were very vulnerable to injury and secondary infection (which would go almost straight into his bone), Jenny makes sure that Barth always has a soft, comfortable surface to rest them on. She has tried a number of different types of sitting spots for him, as she wants him to be as comfortable and happy as possible. She found that Barth was happiest and most confident when he is up at regular height---secondary to resting on her lap of course! 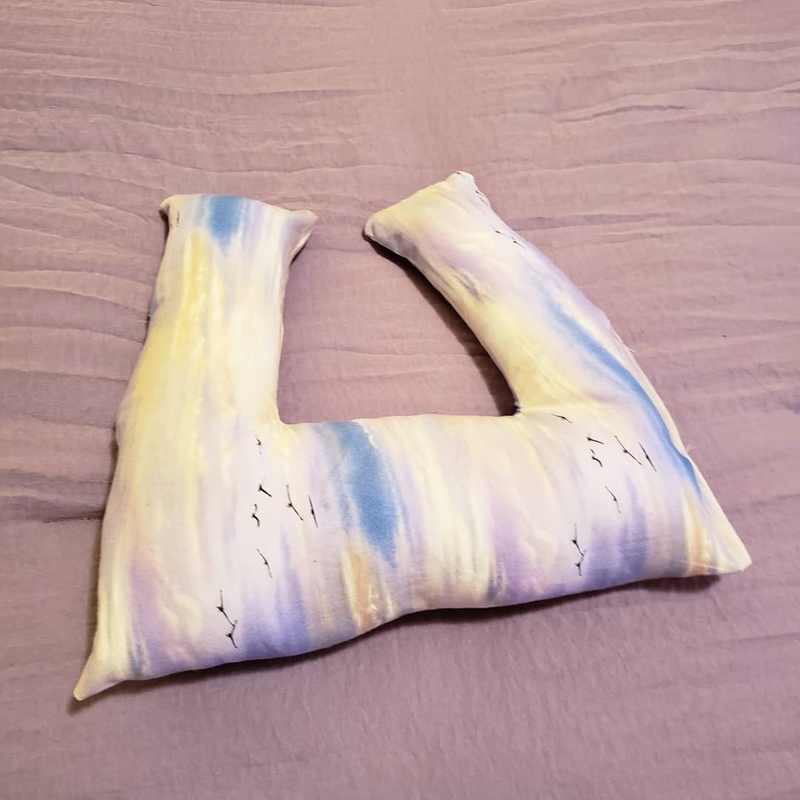 Using this information, Jenny made a special pillow for him, which resembles a neck pillow. Since Barth has issues balancing in a resting position without legs, his “boppy” helps stabilize him from falling to one side or the other. His muscles flex and tense without it. 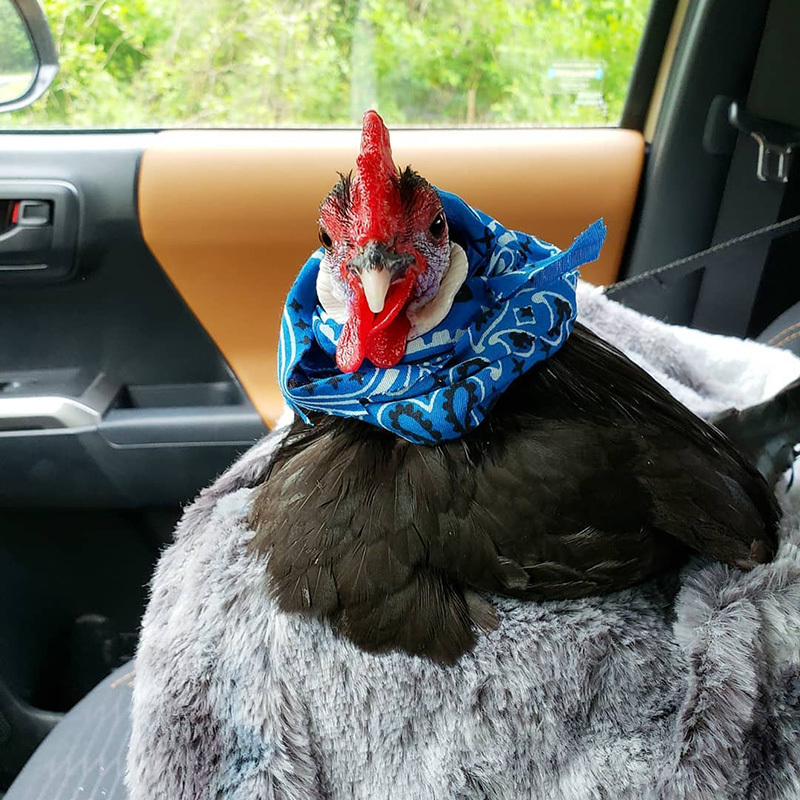 Jenny fitted Barth with his own chicken diaper, which also helps give him a little support in the upright position, and prevents droppings from accumulating on his feathers. 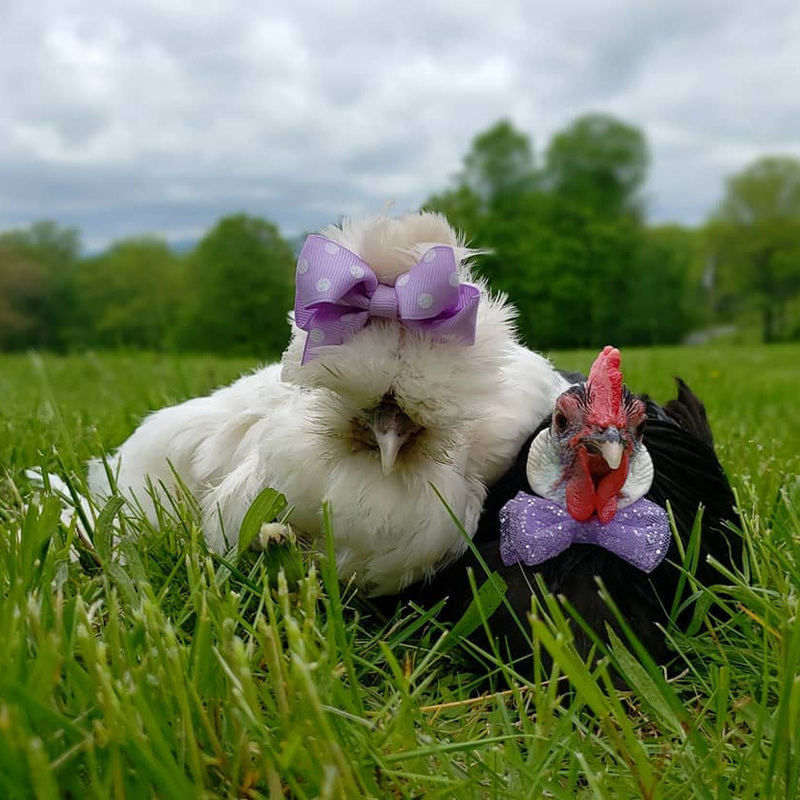 Chickens may make it looks easy when it comes to keeping their skin and feathers healthy and looking great, but it is actually a lot of work! It requires daily dustbathing and preening activities, which both require to use of the bird’s legs to be fully effective. 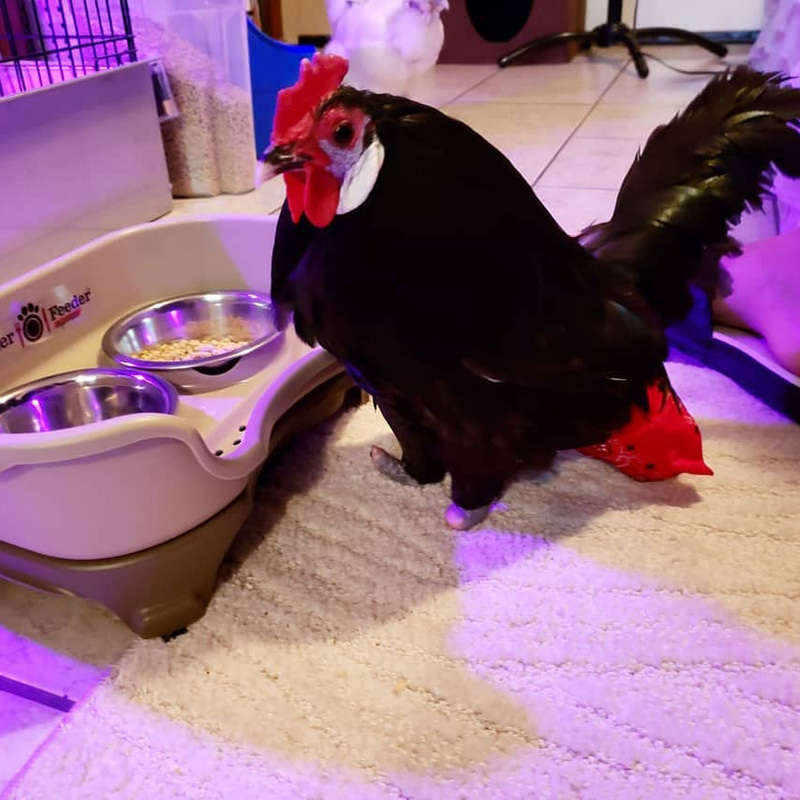 Since Barth doesn’t have any legs, it means that he will require some additional assistance from Jenny in order to keep his skin and feathers clean and healthy. 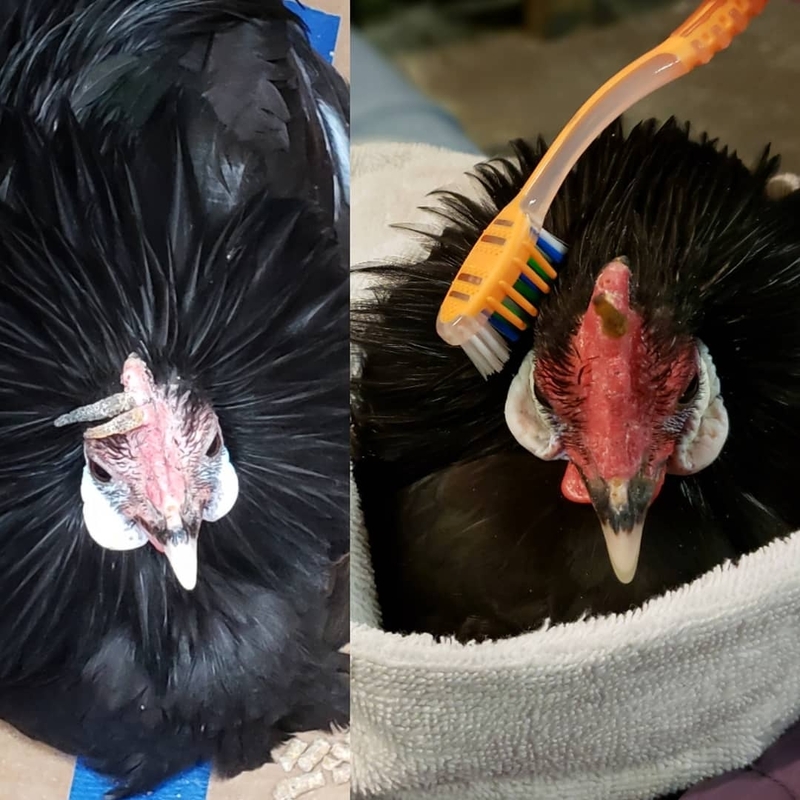 Jenny uses a small toothbrush to scratch Barth’s face with daily (since he normally would use his feet to scratch off the dry flakes of skin). She applies Green Goo® on Barth’s face and comb to help keep his skin moisturized. Barth enjoys both activities. Jenny is still trying to come up with a way for him to dust bathe. Another thing Jenny noticed about Barth was that when he first arrived, he was almost completely mute. He barely made any noises at all, and certainly never crowed. 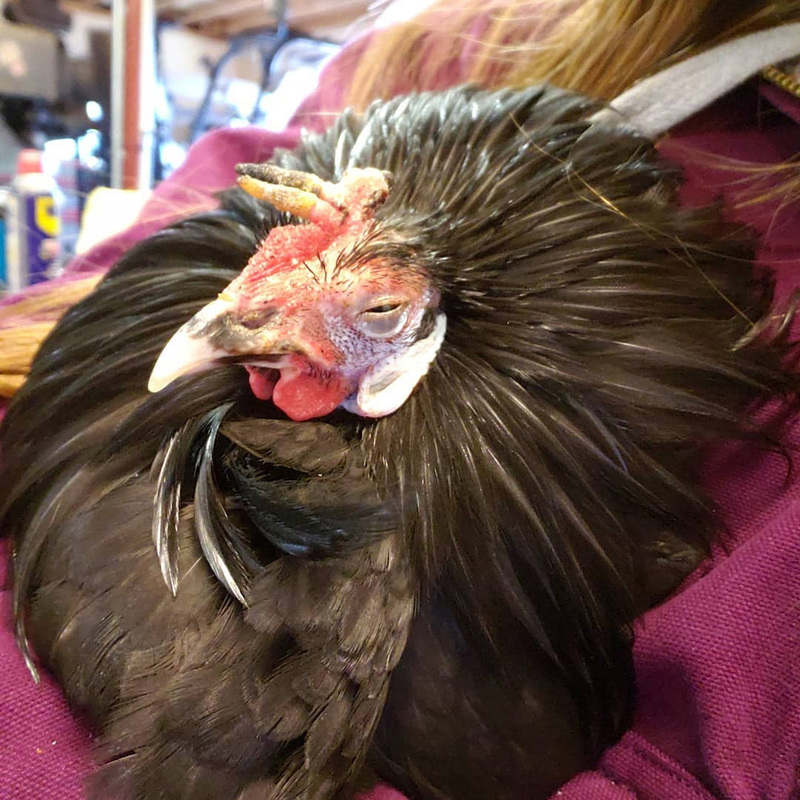 This is because when roosters become depressed, they usually won’t crow or make any noise at all. 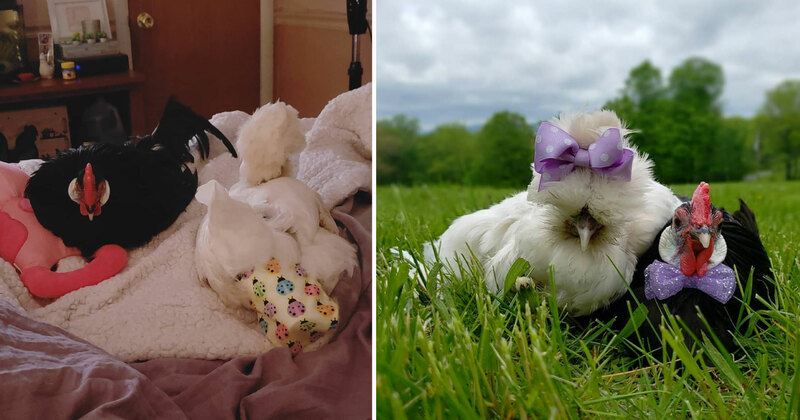 As Barth’s health improved and as he began to enjoy life again, he started to chirp when he saw Jenny first thing in the morning. 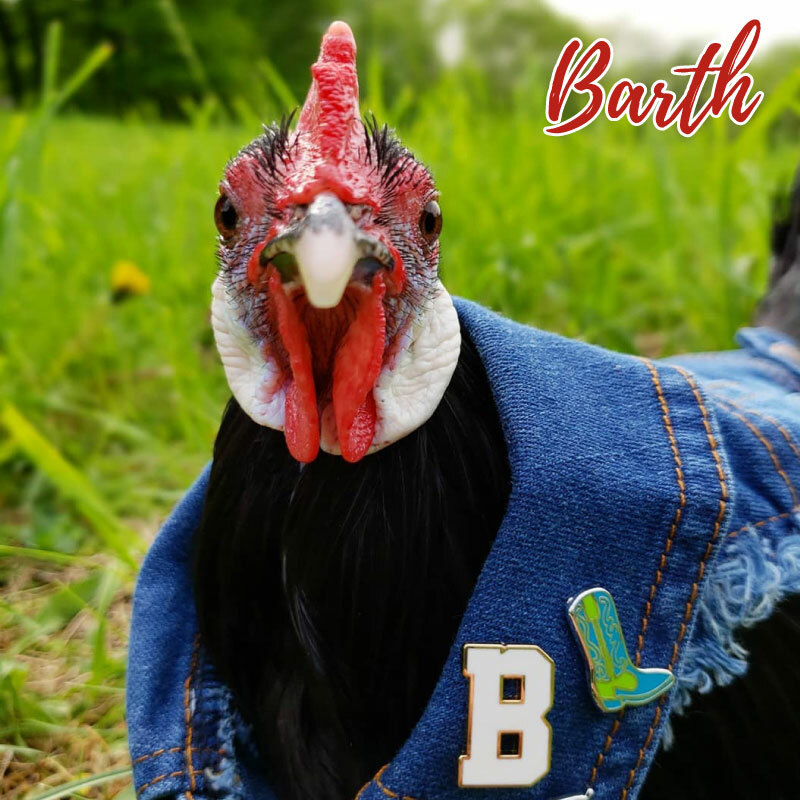 After about a month, Barth finally felt happy and confident enough to crow again. Once Barth relocated indoors, he and Eloise became acquainted. 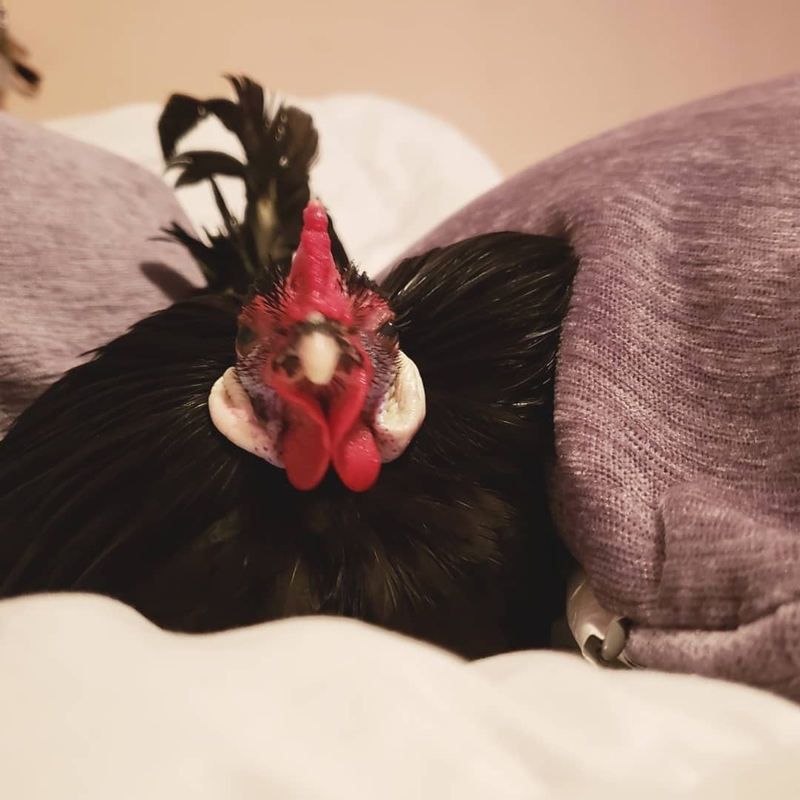 Eloise has lived as a house chicken inside with Jenny for over a year. 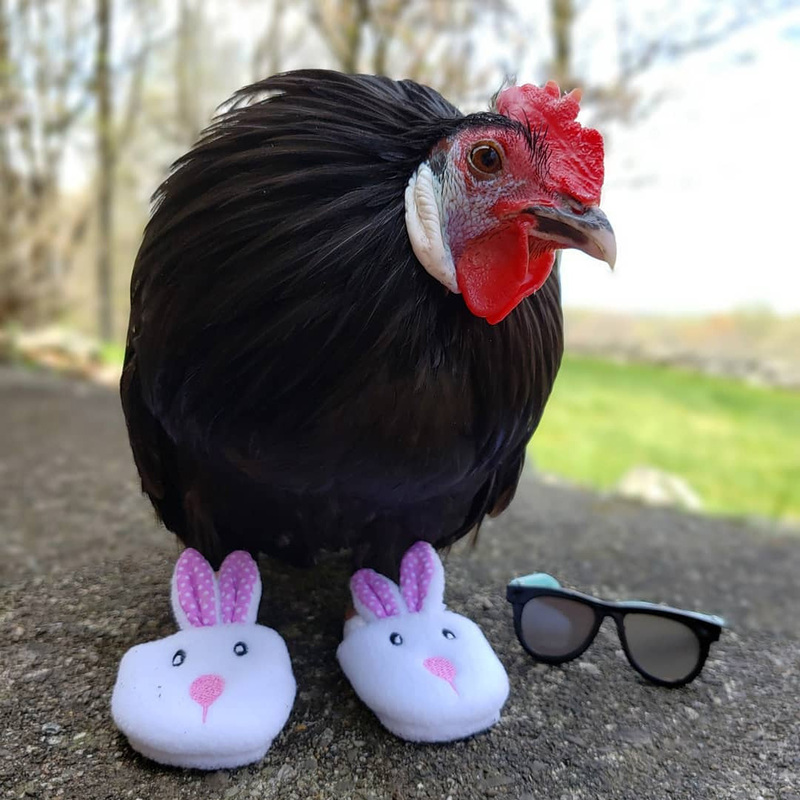 She had a reputation for being one of the notorious mean girls of the flock in the chicken yard. However, Eloise was never this way with Barth. In fact, she adores him and they have both become best of friends. 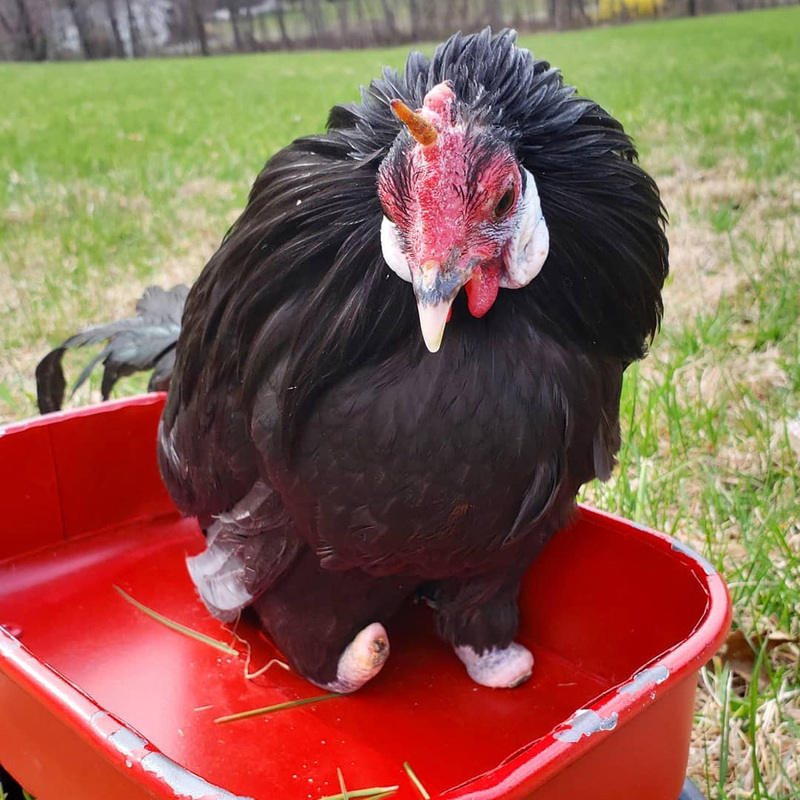 Sadly, Barth is one of the many chickens and ducks who fall victim to frostbite every year. There is a lot of misinformation out there about these birds’ tolerance to cold. 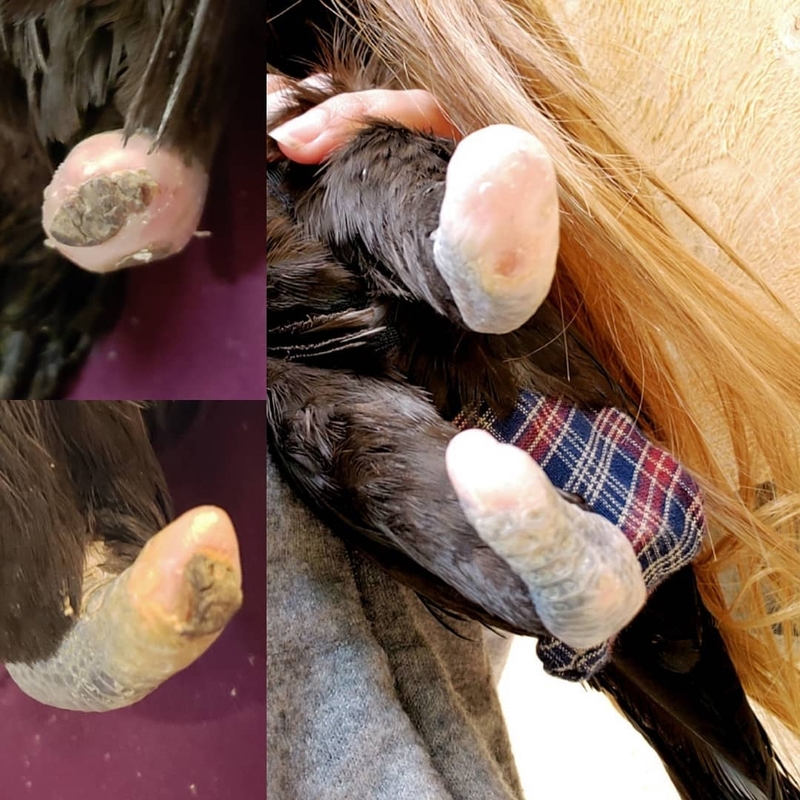 Even so called ‘cold-hardy’ breeds aren’t invulnerable to frostbite. In addition, exposure to cold temperatures and extreme weather events causes birds a great deal of stress---which can ultimately be fatal. 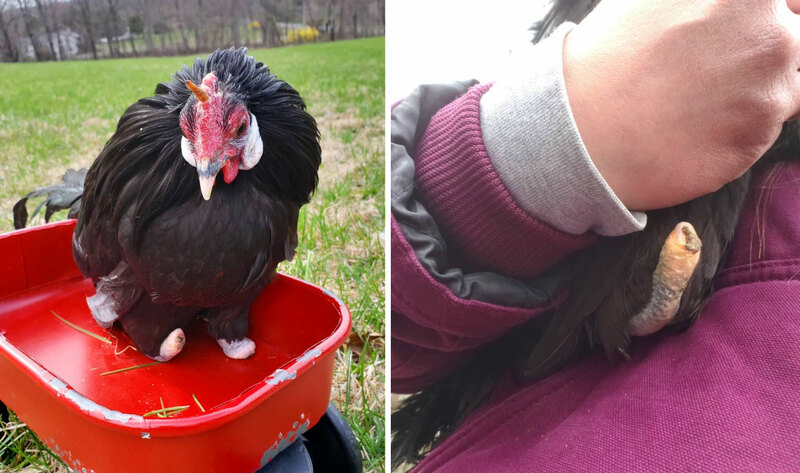 However, just because a bird looses their feet or limbs to frostbite, doesn't mean that they can't adapt and learn to live with their disability, as long as they are given the opportunity and some additional support, like what Jenny did for Barth, and similar to what Woodstock Farm Sanctuary did for Flipper, a rooster they rescued in 2011. 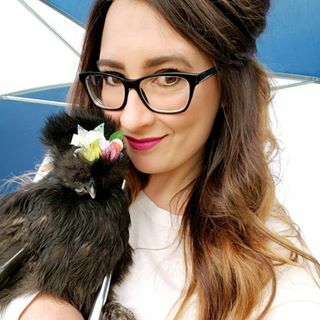 Follow Barth and Jenny on Instagram @lipstick_and_chickens!